Configuration Cash-in or cash-out terminal, combined cash-in/cash-out terminal, or full recycler. 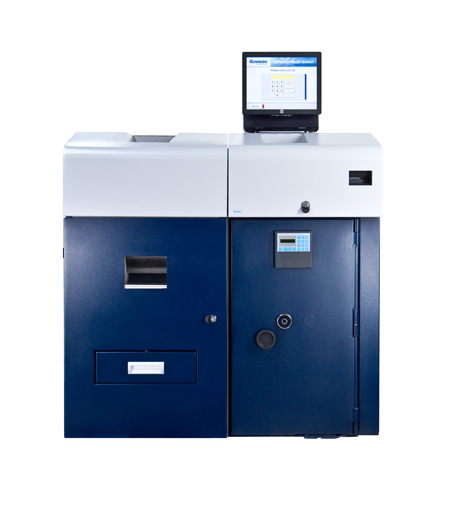 Insert bundles of up to 200 banknotes. Notes are automatically sorted, authenticated, fitness-tested and stacked in recycling cassettes to greatly reduce processing time. Optical, ultraviolet, infrared and magnetic are some or the sensors that identify counterfeit and poor quality notes. Replenish your tills according to preset individual limits. 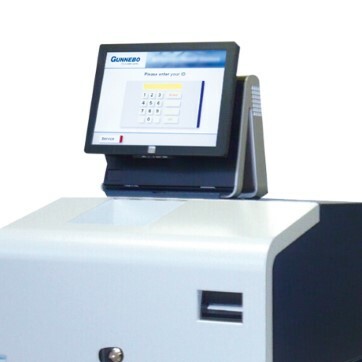 Cash is stored in a VdS-certified safe to protect from theft. Use the CashControl software to enable user administration and reporting, making inventory and pick-ups more efficient and economical. Connect to your entire network of self-service machines using a web-based portal. 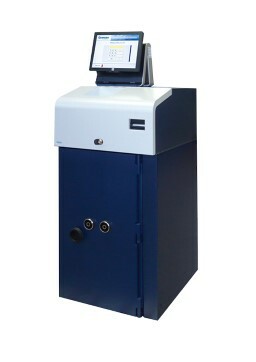 Additional coin recycling, high-volume coin deposit and envelope deposit sidecars. Capacity: ​5 banknote cassettes containing 2,200–2,500 notes.